An independent bookstore has so many treasures to offer a community—comfy chairs to peruse the latest releases, a friendly staff to point out page turners, the rich scent of print, and shelves filled with books just waiting to be opened. 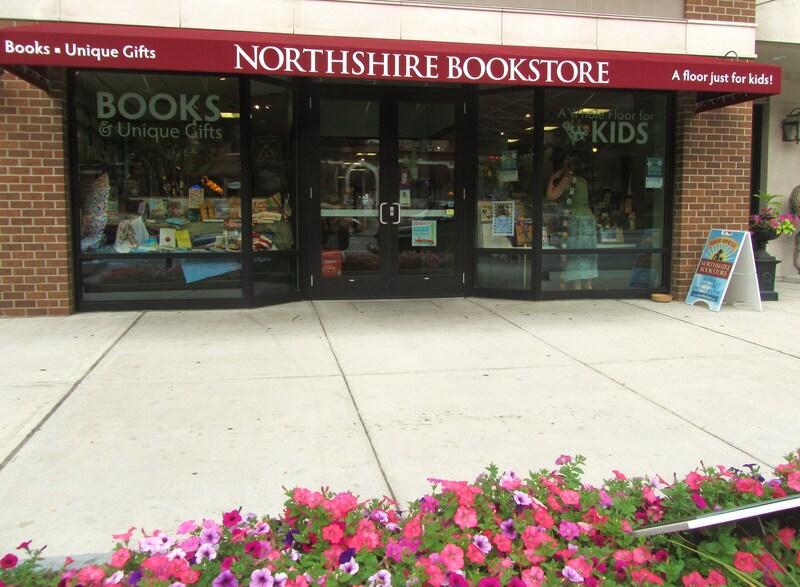 One of the special features offered by Northshire Bookstore in my hometown, Saratoga Springs, is the authors it brings in to chat with enthusiastic readers like myself. Thanks to the brick and mortar shop on Broadway, I’ve had the opportunity to meet Mitch Albom, Neil Gaiman, and Anne Rice. On June 21, I once again sat at the upper level of Northshire listening to another author. 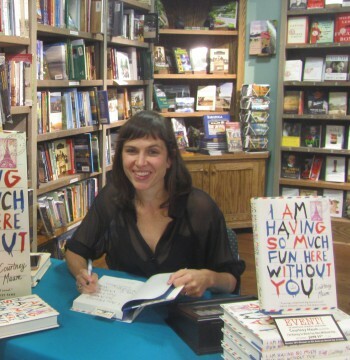 Courtney Maum read from and discussed her debut novel, I AM HAVING SO MUCH FUN HERE WITHOUT YOU. It’s a story about a monogamist’s attempt to earn his wife’s forgiveness, while ultimately answering the question: Is it possible to fall back in love with your spouse? Courtney began her presentation by saying that she last visited Saratoga Springs when she was a young teenager attending Skidmore’s Summer Jazz Institute. She laughed, revealing that she shyly spent most of her non-performance time in her dorm room because she was one of only two girls amongst approximately one-hundred boys. Acknowledging her husband and daughter in the audience with a smile, she pointed out that she returns without her “boy” fear. Courtney landed a publishing deal with TOUCHSTONE, a division of Simon & Shuster, Inc. and it was released on June 10, 2014. How is I AM HAVING SO MUCH FUN HERE WITHOUT YOU doing? It has received a starred review from Publisher’s Weekly and has been featured in national periodicals like The Wall Street Journal and Vanity Fair. It was also selected as an Amazon Best Book of the Month, June 2014 and made The Today Show’s and O Magazine’s Must-Read Summer List. I then asked her if she had any advice for writers struggling to get published. Well, okay Courtney. I’m on it! One more thing. I’ll never, ever throw out a manuscript. You never know what may happen in ten years. Categories: Uncategorized | Tags: Saratoga Springs | Permalink. Thanks for stopping by Raani. Independent bookstores are such a treasure. I’m thrilled some are surviving the digital invasion. 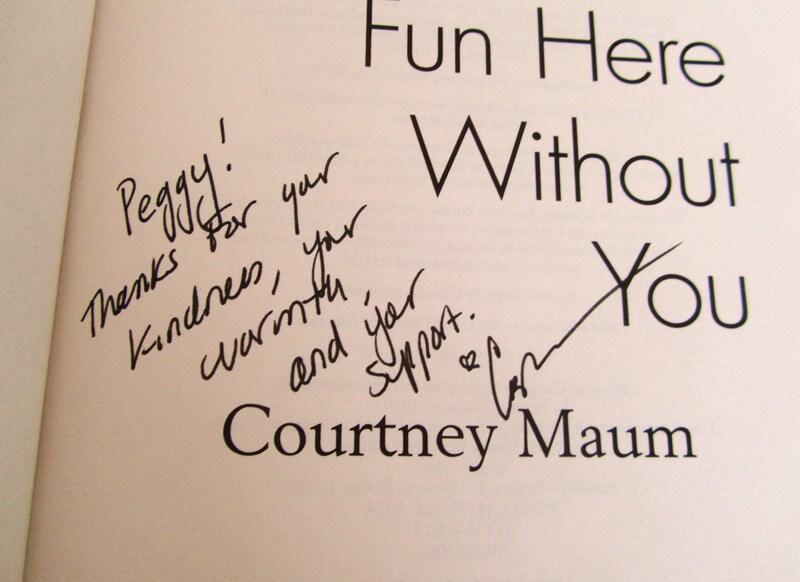 Check out Courtney Maum’s novel. Really good! Thanks for introducing us to Courtney, Peggy. You are very welcome, Laurie.